creates custom estate plans for all types of situations, from simple to the most complex. Whether their assets are minimal or very substantial, each of our clients receives personalized attention from one of our knowledgeable attorneys who is experienced in estate planning. There are good reasons for you to have a well-prepared estate plan. Should you become disabled, your estate plan will make it possible for someone you've chosen to protect and manage your assets. When you pass away, your plan will provide for your assets to be distributed to the persons you choose. (Without an estate plan, your assets would be given to the people specified by a state "intestacy law", and these people may not be the ones you would have chosen.) With a few simple steps, your HYBM attorney can help safeguard your assets and help you plan for the future. We offer a customized estate planning package. This includes a preliminary meeting with an experienced estate planning attorney at our convenient Morris office. Alternate meeting arrangements can be made, if necessary. Your attorney will explain in detail the estate planning process, answer any questions you may have, and gather information regarding your needs. 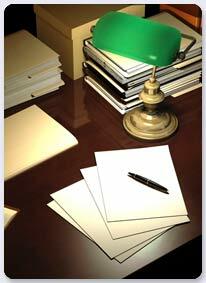 After the meeting, your attorney will prepare your estate planning documents. These will include a will, a living trust if appropriate, a durable power of attorney for health care, a durable power of attorney for property, and a living will. Your attorney will then review the documents with you at a subsequent meeting. If the documents meet with your approval, your attorney will assist you in properly executing them, and they will become operative at that time. To make an appointment to speak with one of our estate planning attorneys, please call our office in Morris at (815) 942-0049. To help us serve you better, we encourage you to print out and fill in our Estate Planning Questionnaire and bring it with you to your first meeting.